St. Alban’s Chapel is a mission-driven ministry of the Episcopal Diocese of Louisiana that provides a place of refuge, hospitality, and worship for the students, faculty, staff, and wider community of Louisiana State University. We were the first Episcopal Chapel in the United States to be built on the campus of a state university. A plaque next to the sanctuary entrance notes our mission: “to serve the faculty and students of Louisiana State University.” Our congregation is multi-generational, made up of people of all ages from the LSU community and beyond. Our members come from a wide variety of denominations and religious backgrounds to find a home here in the Episcopal Church. As LSU attracts many international students, countries from all over the world are represented here. We are theologically and economically diverse, but we all share a common love for our Lord Jesus Christ and a passion for the LSU community, especially students. We emphasize our rich tradition of Anglican music, hospitality to students, and God’s unrelenting grace to all us. As our motto states, our doors remain open all day, every day, for everybody. Because of the vision and sacrifice of our first donors, we have a location and building that position us perfectly for this ministry. We are blessed to have a sanctuary designed with incredible acoustics, an organ that wonderfully suits the space, and strategic placement just down the street from the nationally recognized LSU School of Music. There are few churches in the country that can boast of such an amazing combination of elements that provide such a great potential for ministry. Our sanctuary, organ, and student center have always shaped how we pursue our mission. For some thirty years, the sanctuary doors of St. Alban’s Chapel have stood open 24/7 for anyone to pray, reflect, or simply enjoy a moment of peace. The organ, and the acoustics and architecture of the sanctuary, make St. Alban’s Chapel a prime location for LSU School of Music recitals, concerts, and classes. The unique chapel space with its incomparable acoustics, our proximity to the school, their interest in the Anglican Choral tradition, and our pipe organ enable this mutually beneficial relationship between St. Alban’s Chapel and the LSU School of Music. St. Alban’s Chapel also hosts a wide variety of community music events: The Baton Rouge Early Vocal Ensemble (BREVE), The Shaped Notes Singers, The Ukulele Orchestra, The Contra Dancers. We host four weekly AA groups. 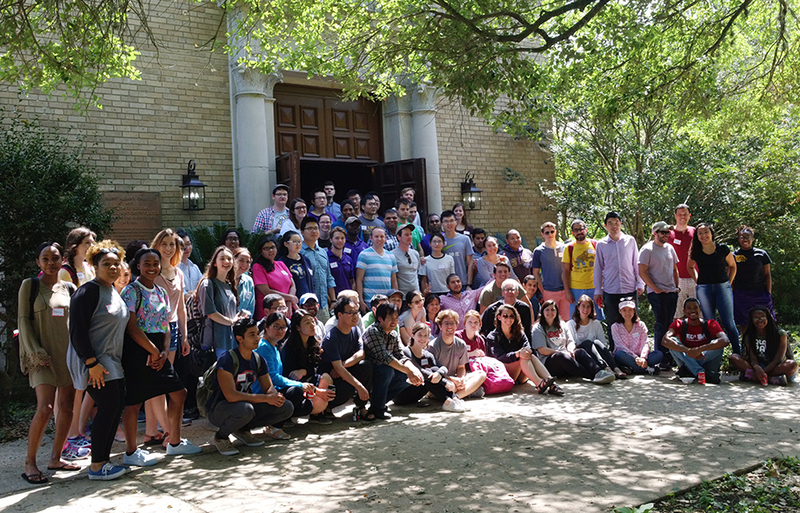 For the past eleven years, students from across the LSU campus have attended our weekly Lunch with C. S. Lewis. Attendance there has grown to between 150 to 200 students each week, many of them international students. Most college ministries search long and hard to find a real connection to the school they serve. We are already well known in this community as a hub for all kinds of music, and for our hospitality to the students, staff, and faculty of LSU. The need to undertake some type of major fundraising campaign was identified in 2014 when we received a report that our organ was reaching the limits of its useful life. In mid-2016, we hired a consultant from the Episcopal Church Foundation to lead us through a three-phase campaign. In Phase I, “Discernment”, we surveyed our current members and reached out to our alumni online. That discernment phase helped us to identify other long-term needs here and to take the pulse of the congregation. In 2017, we hired Holden Architects to conduct a thorough inspection of our facilities from top to bottom. Their report identified other major maintenance work that needed to be addressed. This past April, we concluded Phase II, “a Feasibility Study.” The purpose of that study was to determine the willingness of the congregation, alumni, the diocese, and other outside contributors to support a proposed Legacy Campaign to refurbish the organ and repair and address the maintenance of our buildings. The results revealed a very high level of financial support, wide agreement on the scope of the campaign, and an eagerness to volunteer. We have now embarked on Phase III, “Solicitation”, the last and most important phase of this campaign. After a careful review of that Feasibility Study with our Episcopal Church Foundation consultants, the leadership of St. Alban’s has set a primary goal of $536,000 and a challenge goal of $636,000. Any funds raised over our primary goal towards the challenge goal would be set aside in trust for the ongoing maintenance of the organ and buildings. The solicitation phase will run to November 11, 2018, when we hope and expect to announce that our goal has been met. There is a beautiful and simple logic at the heart of this campaign. We need a fully functional organ to continue to worship in our beautiful sanctuary in the style that we have worshipped for many decades. It does not make sense to reinstall a repaired and refurbished organ in a building that is in decline. We also need the student center to be well maintained to continue our ministry of hospitality to students. A refurbished organ installed in a well-kept building is the necessary foundation for ministry in the decades ahead. Though the outcome of this Legacy Campaign will not be known until the end of November, we have already benefited greatly from the process. In early stages, we were forced to ask ourselves “Why are we here?” and “Where is God leading us?” and “What does it mean for us to move forward as a mission?” Those discussions led us to reaffirm our mission, clarifying what we can and cannot do. The process has reinvigorated our relationship with the LSU School of Music and raised our sites for what sorts of ministry our wonderful sanctuary and student center make possible. The months of preparation for a campaign launch have also reconnected us with our alumni across the nation. We have found that there is a large group of former students who want to join us in ensuring that future LSU students have access to the same wonderful experience that they received. In early October, the clergy of the diocese will each receive a packet of information about this Legacy Campaign, and a pledge card. We hope that, in addition to a strong show of support from our current congregation and alumni, churches from across the diocese will also contribute. We invite your prayers for this campaign, for the future of this mission, and thank you in advance for your prayers and support!